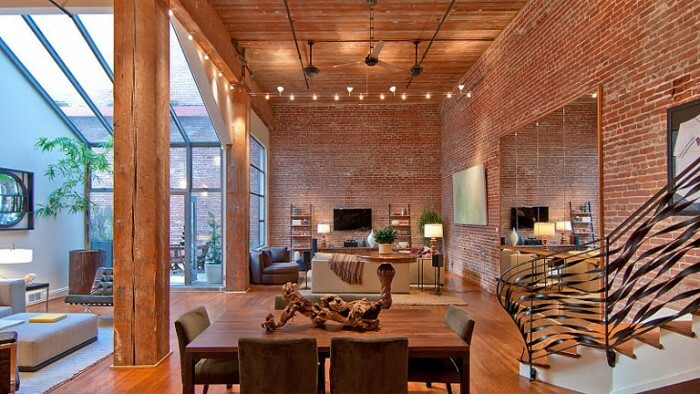 The industrial loft has much to show for itself. These distinct interiors offer unlimited versatility. 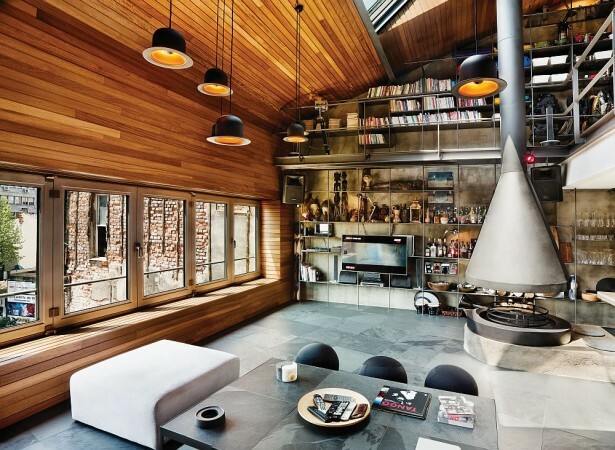 They give the open floor plan a whole new meaning. 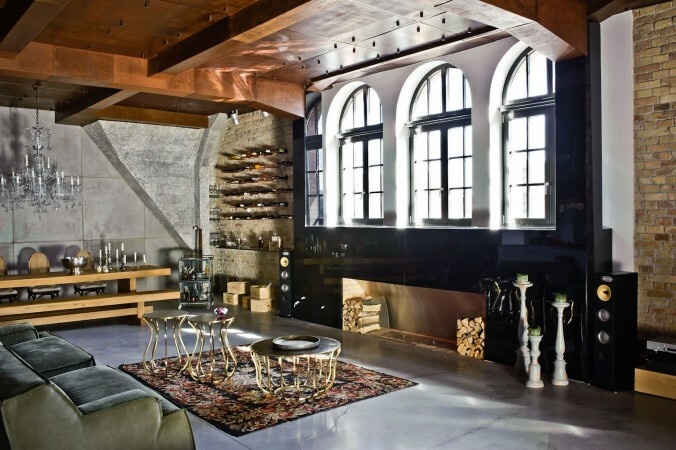 The converted warehouse is a housing option that is becoming increasingly appealing among urban dwellers. 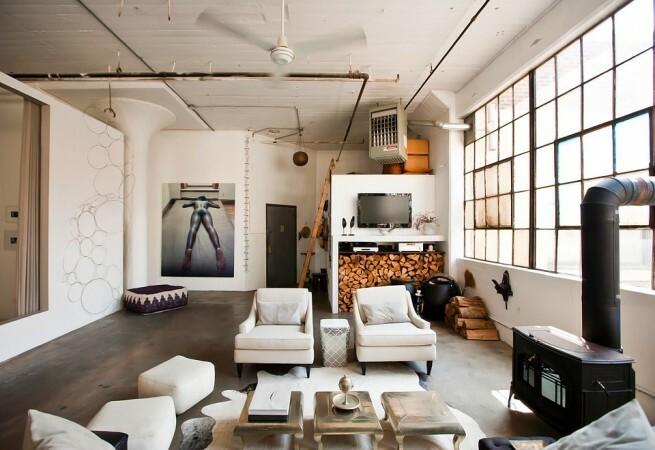 Here are five reasons to love the industrial loft. 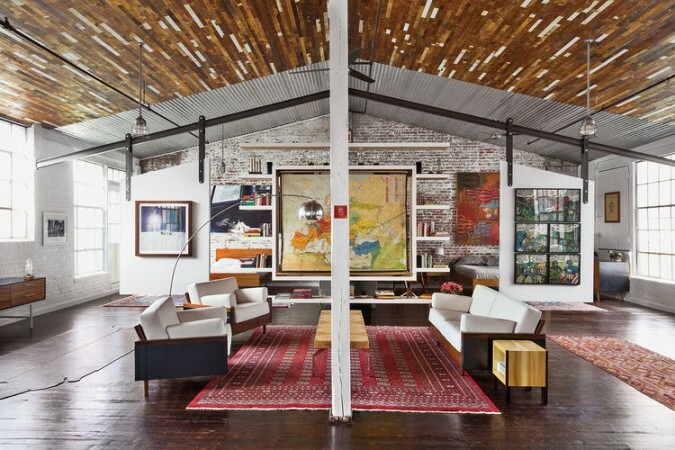 The industrial loft is rich in texture. 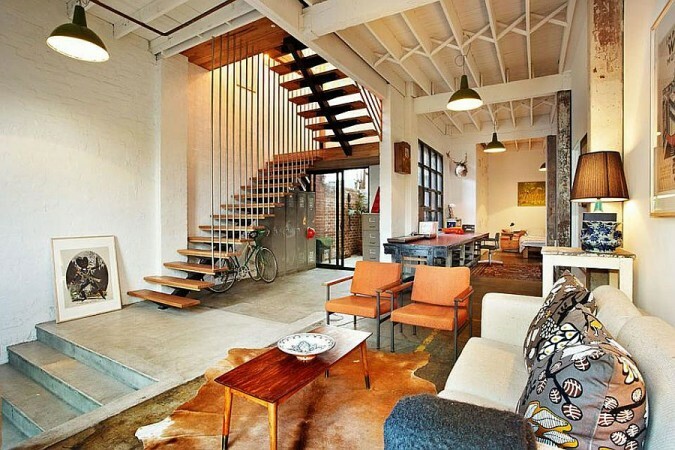 Often there is brick, wood, steel and concrete all in one interior. These hard surfaces can be softened by adding window treatments, rugs, upholstery and other textiles. 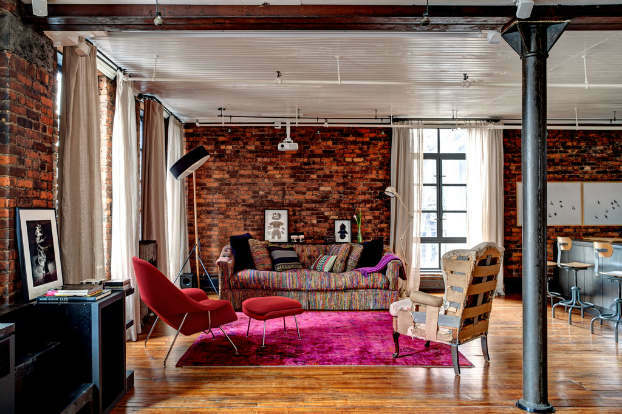 For a truly industrial vibe, the textured surfaces of the loft can be enhanced by highlighting them in the overall design of the space. 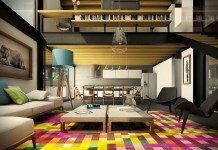 The contrast of materials makes for a unique and interesting interior. 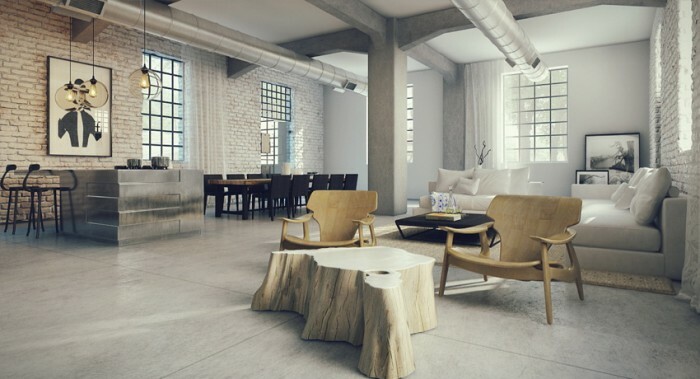 Wood balances out the concrete and steel to add warmth to the loft space. 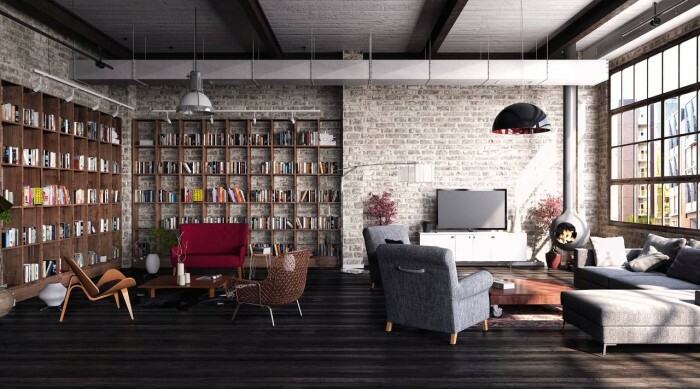 Adding areas of painted sheetrock lightens the space, while offering contrast to brick walls and wood floors. 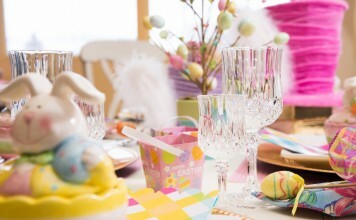 Adding walls and architectural details can enhance the space as well. 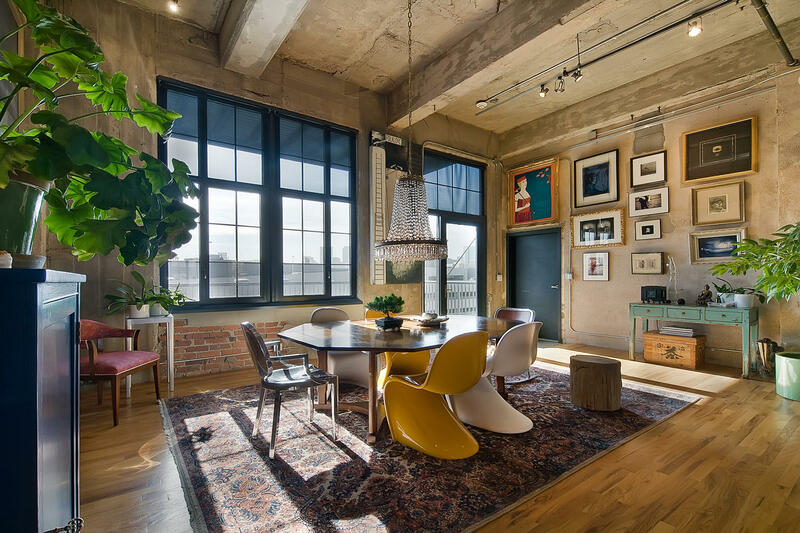 An abundance of open space is one of the major appeals of the industrial loft. 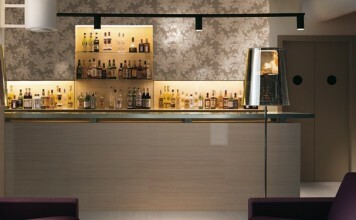 This offers limitless options for arrangement of furniture and creating designated areas within the space. 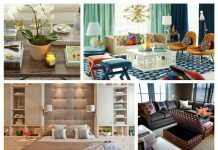 You can add half-walls, erect additional posts and columns or create “rooms” with furniture such as bookcases or large sofas. Vertical space is at a premium in the industrial loft. 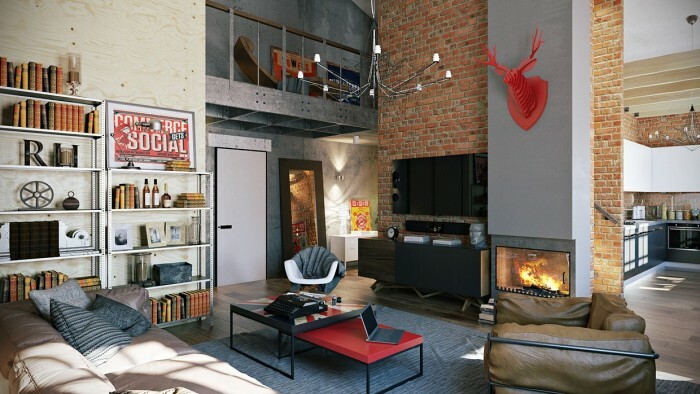 This calls for tall bookcases, large pieces of artwork and dramatic lighting. Use the space to your advantage for a well-balanced interior. 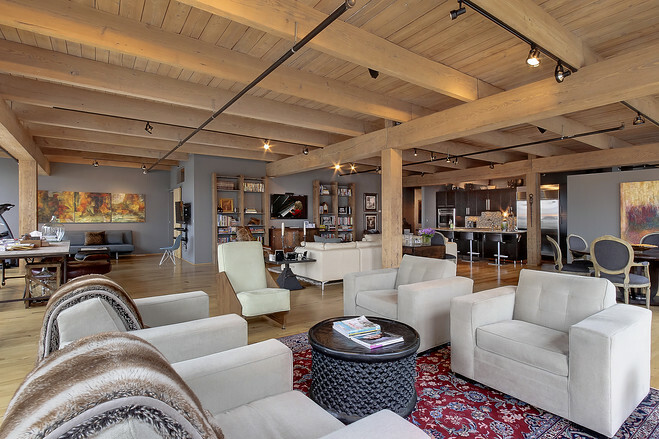 The industrial loft is the perfect space for entertaining, as each “room” is convenient to one another. You can arrange various seating options for guests, they can move freely about and you can make preps in the kitchen while enjoying the conversation. 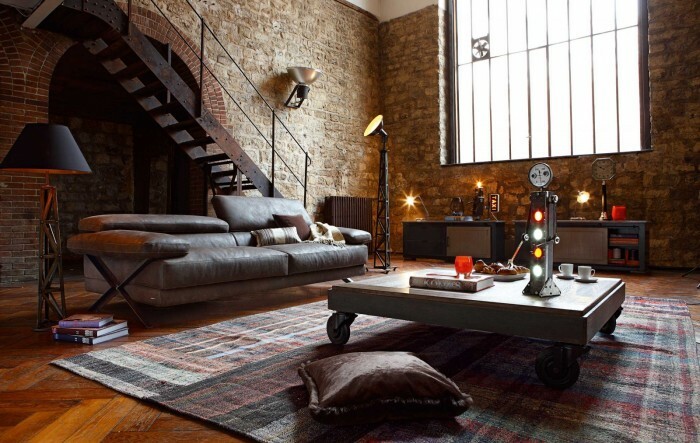 It is the nature of the industrial loft to invite and nurture a creative vibe. 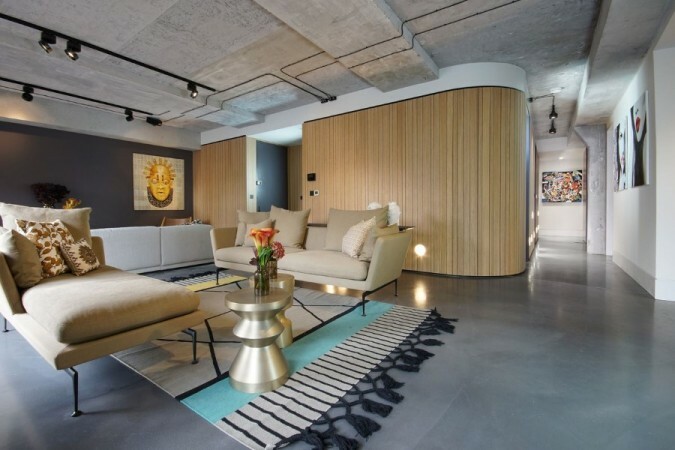 With expansive space and so many interesting elements, you can create a home that fits perfectly into your lifestyle and aesthetic. 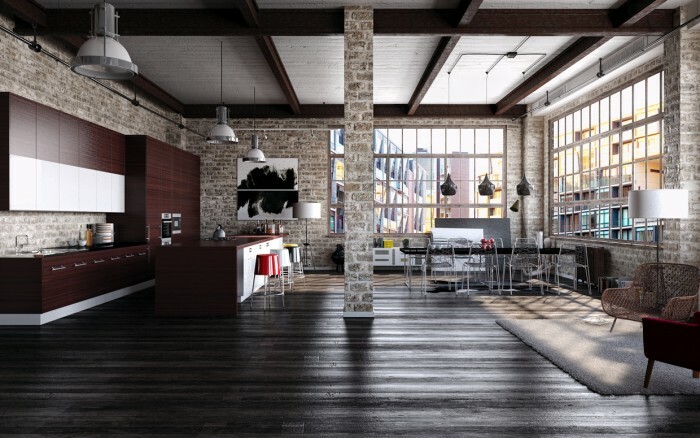 You can choose to completely refurbish an industrial loft with finished surfaces. 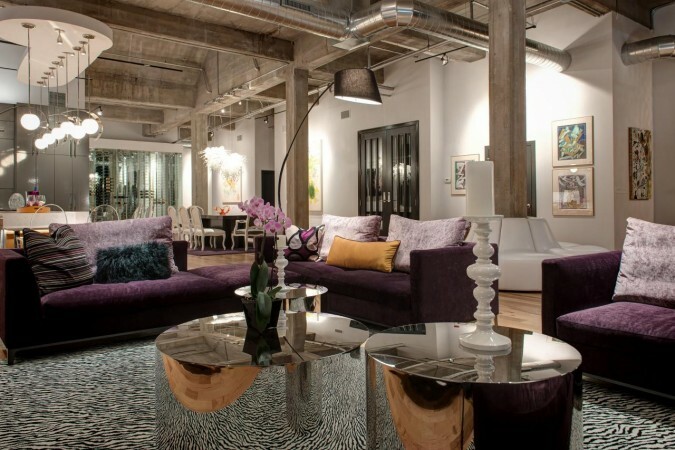 Given the amount of space available to you, larger pieces of furniture and art work well in a loft. 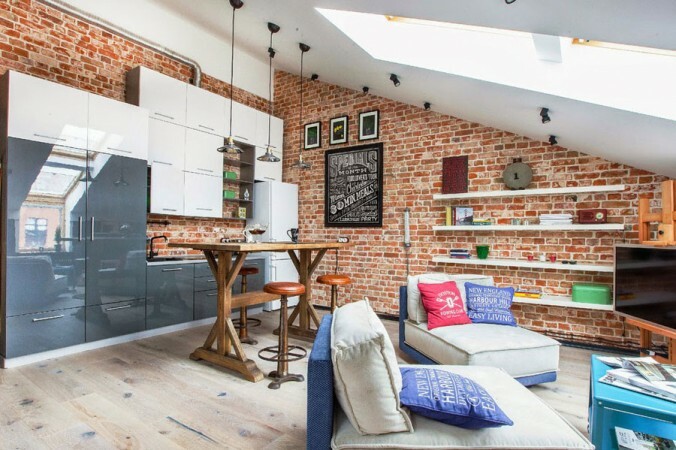 You can be as elaborate or as minimalist as you want with a loft interior and it still feels rich with character and soul. 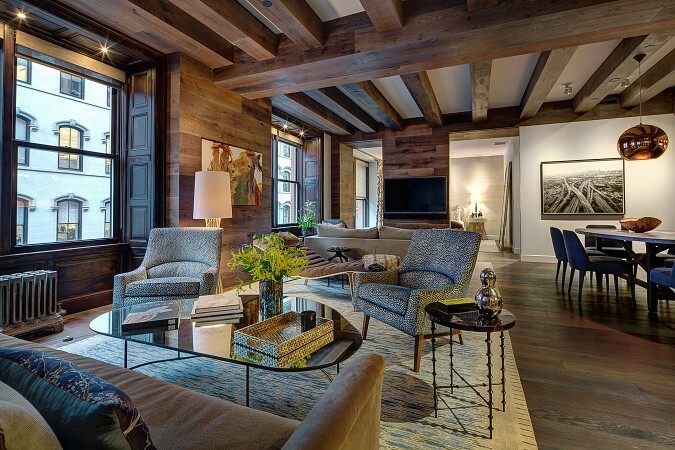 Let the original surfaces and architectural elements take center stage. 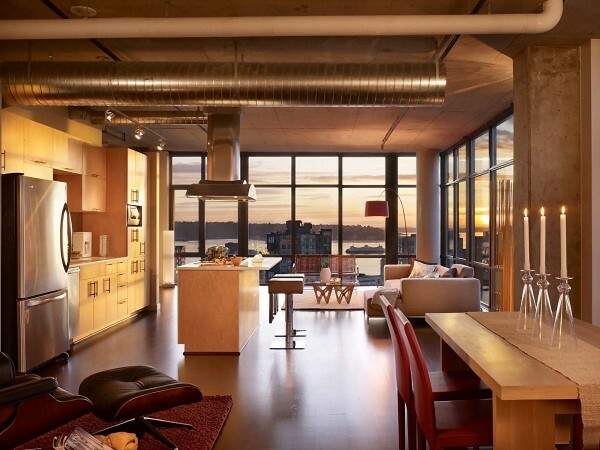 Most lofts have an abundance of large windows, opening up the space with plenty of natural light. For a truly modern and industrial vibe, leaving the windows uncovered is the best solution. You may wish to hang long panels for privacy and pull them aside during the day to make optimal use of the natural light. 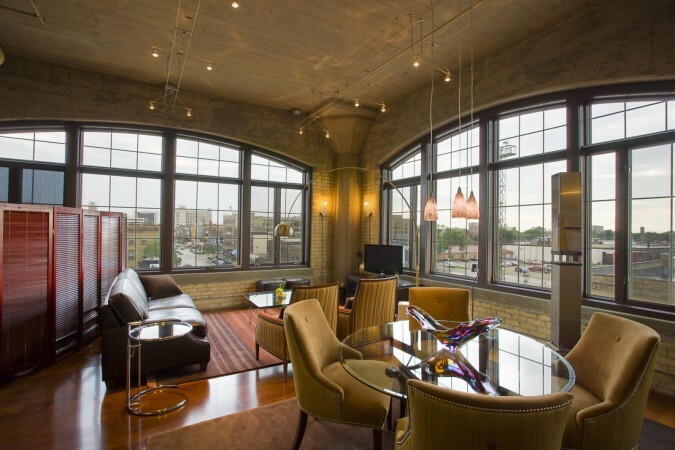 Industrial lofts have notably unique window dimensions that add a distinct character to the space. 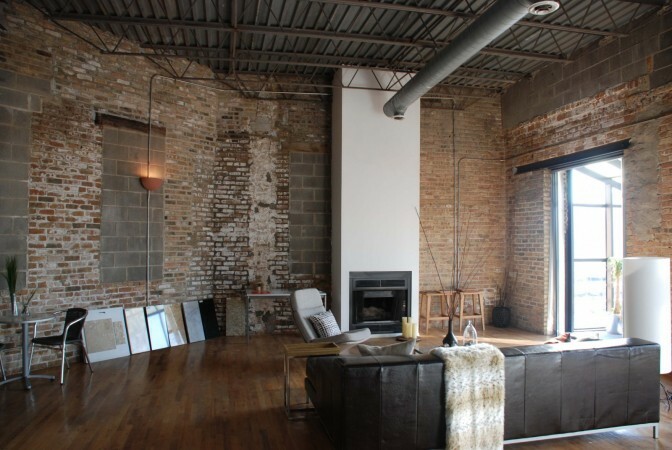 Let’s face it….industrial lofts are cool. 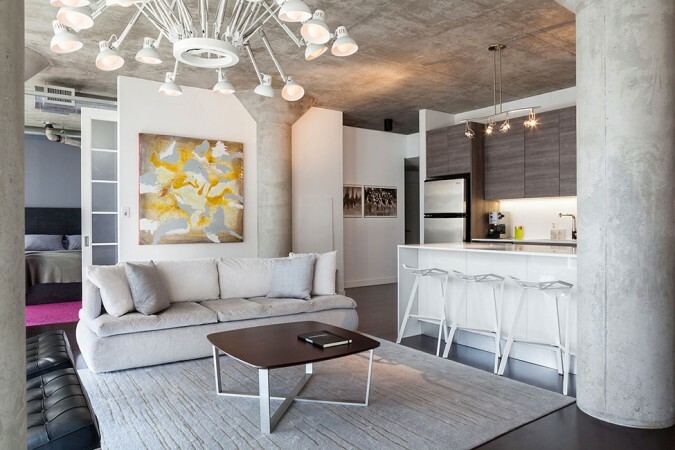 For the most part, their location is within walking distance of conveniences and entertainment, as many are warehouse conversions in the city. Making something of an abandoned warehouse is a step toward conservation by using what is already constructed. 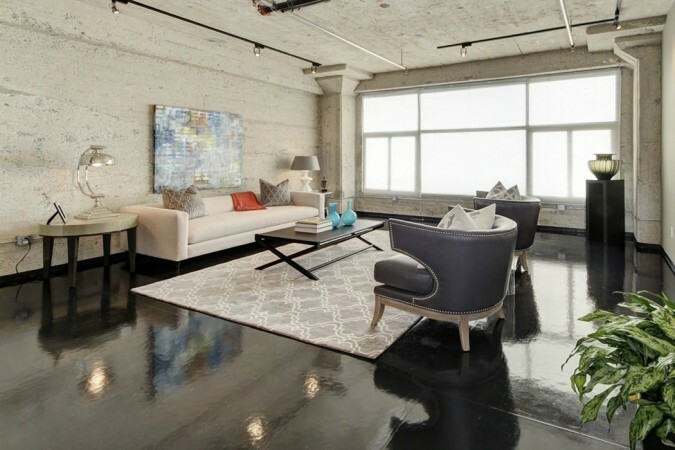 The interiors of industrial lofts are open spaces that can be designed for any style. The open concept is alive and well in the loft interior. 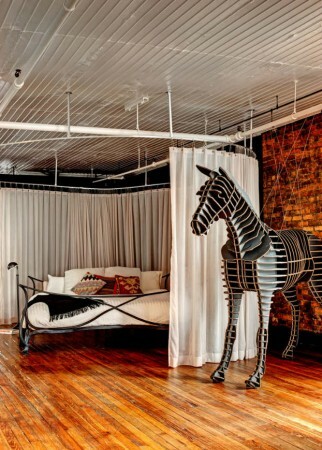 The open ducting and other industrial elements only add to the character, giving the industrial loft a cool city vibe. 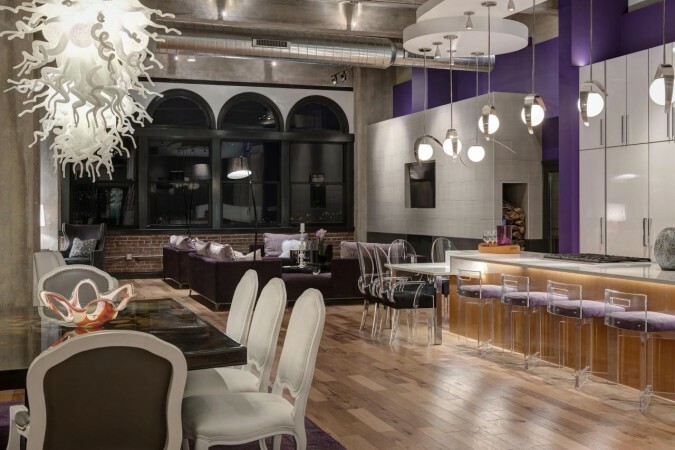 Industrial lofts are growing in popularity and warehouses are being turned into unique homes every day. 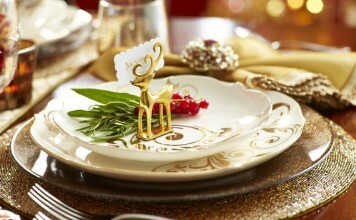 They are rich in character, abundant in space and light and infused with a mix of textures. 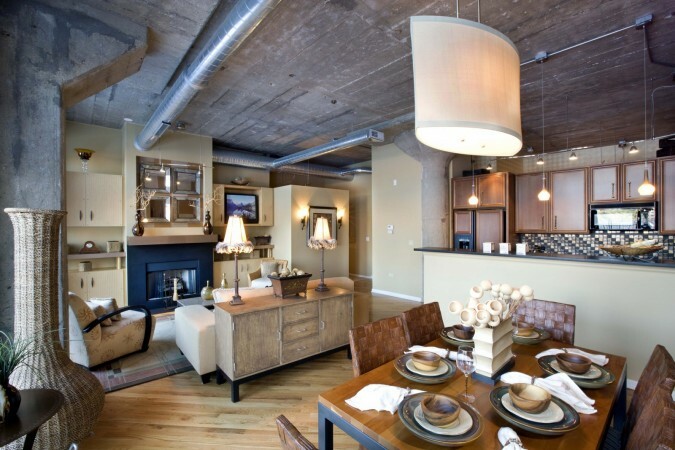 Industrial lofts are a great place for the urban dweller to live, entertain and make a warm home.